API-fication is a tool that new economy leaders are using to grow revenue 5% faster, create integrated sales/marketing offers with partners 15% more often and deliver new products and services 21% faster than competitors. 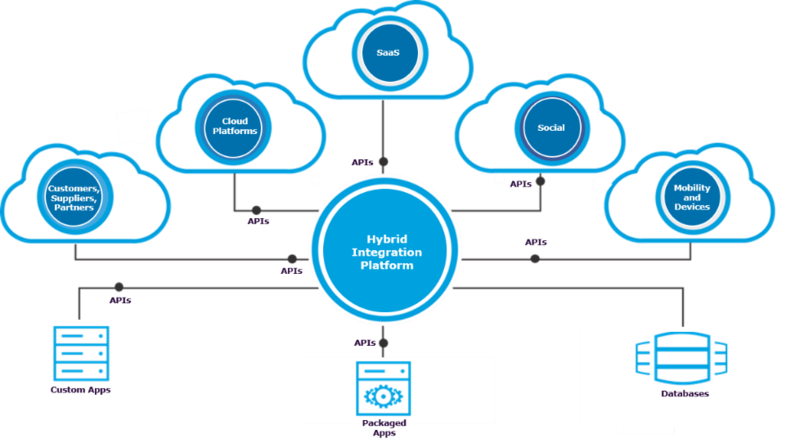 As revealed in Capgemini’s latest client research, Unlocking the Hybrid Integration Dividend, a survey of 818 IT executives working in organizations with revenues over $500M, a modern API and hybrid integration approach reduces time to market, speeds adoption of new technologies, and creates new revenue streams, enabling superior revenue growth. Why is API-fication so powerful? One of the primary challenges businesses face is connecting applications and data that exist in different parts of an organization. Without an API strategy, data is often inaccurate, out of date, or irrelevant because data stores are in silos, separated from each other. This results in missed sales opportunities, aging inventory, delays in supply chains, and more. About 10 years ago, the buzz was all about “appification,” as the web was siloed into apps on smartphones and tablets. It was all about making specific tasks easier. Now, it’s about “API-fication,” improving processes through API’s that connect your company internally and externally, with vendors, partners, clients, and service providers. API-fication is not about building another app, it’s about “getting all the apps to talk to each other.” Instead of looking at specific tasks in isolation, it’s about streamlining tasks and processes across your entire business – developing a comprehensive strategy to take advantage of the unique ways that separate data points have a huge impact on each other. To reap the rewards of cloud, you’ve got to “crack the egg” of your data center and expose your information and processes to partners, customers, suppliers, and internal business units. To make this possible, businesses are adopting PaaS (Platform-as-a-Service) strategies that integrate their legacy and on-premise apps with SaaS solutions in the cloud through API-fication. A good example is one of our clients, a leading beverage supplier, that was eliminating their data center to reduce costs in a move to the cloud. As part of their cloud initiative, we developed a roadmap for API-fication which allowed multiple projects in different business units to deploy apps in the cloud and expose their data through APIs that linked them to the greater ecosystem of customers, suppliers, and vendors. By adopting a cloud-based framework for API-fication, the beverage supplier was able to reduce IT support costs and shorten development time for deploying apps. It was a shift in mindset, and a more disciplined approach that took advantage of reuse patterns to improve efficiency and reduce redundancy. The overall result was an increase in profitability and agility in addressing day-to-day operations and customer demands. At Capgemini, we use a proven three-step process to develop an API strategy, integrate cloud and on-premises apps, and build a robust platform that breaks down the barriers between applications and data to capture the integration dividend. This initial assessment framework determines how to transform your existing legacy and cloud apps into a PaaS, that allows clients, vendors, and suppliers to connect with your core business functions. Cataloging existing assets, we then develop a specific framework for integrating on premises apps with cloud services. A key component of our cloud integration approach, the API Center for Enablement provides a centralized location and point of communication for cloud integration in your company. This is vital when it comes to API management on an everyday basis. A pilot is where “the rubber meets the road,” testing core functionality and proving business use cases for your API management platform. Examples can range from IoT integration to recruitment and HR training. The work we did to open the data of a nationwide food service chain exposed location hours, menu, and other information through APIs – making it easier for people to know through search tools and other apps when each location was open and current specials. By opening your business through APIs, possibilities are almost limitless. Exposing key master data gives partners, providers, and even customers the information they need so business performs at its peak. A pilot program brings implementation from the realm of the “what’s possible” to “what’s practical,” and demonstrates results and business impact. With a successful pilot completed, we begin implementing the full strategy and roadmap from step #1 to adopt the use of APIs throughout your enterprise with legacy and cloud apps integrated into a new hybrid cloud platform enabled through APIs. Beyond the technology implementation, we also facilitate cultural mindset changes across the organization, to drive adoption and realization of full benefit from APIs. This is where pay off scales up exponentially. As more business processes are integrated, your enterprise agility increases with new knowledge of how different aspects of your business relate to each other and greater flexibility to adapt with data-driven insights to opportunities. Many of our clients are surprised to discover how powerful API-fication is for their business. To learn how Capgemini can help you capture the Integration Dividend, contact Al Liubinskas. Read more about Unlocking the Hybrid Integration Dividend in our latest client research report.